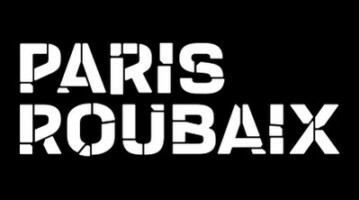 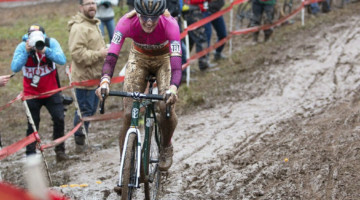 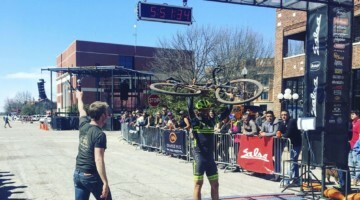 After a winning run at the 2016 Cyclocross National Championships, Tobin Ortenblad headed across the pond for the 2016 U23 World Championships. 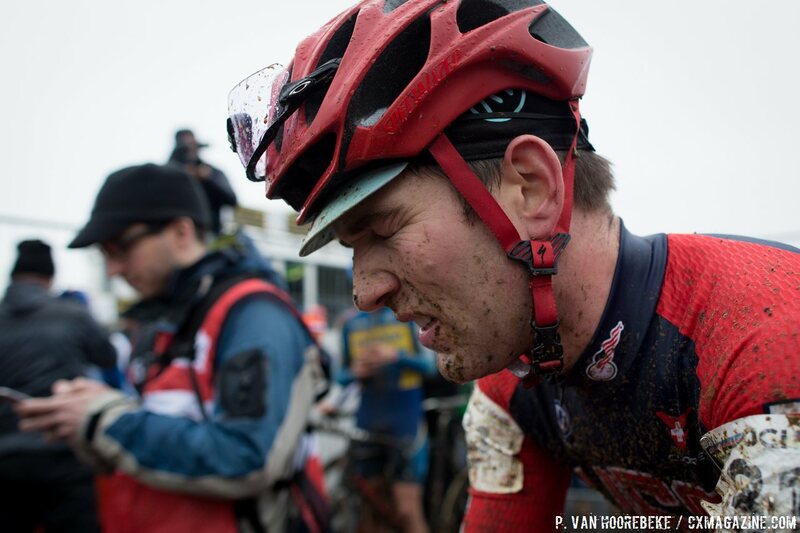 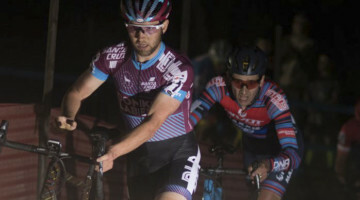 The American champion Ortenblad rode to 35th place at Zolder and he did it aboard his Specialized S-Works Crux Disc. 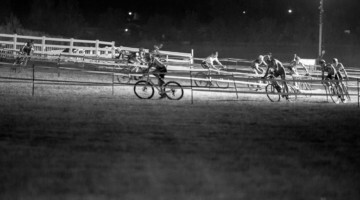 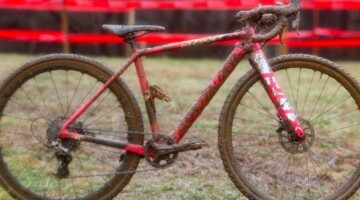 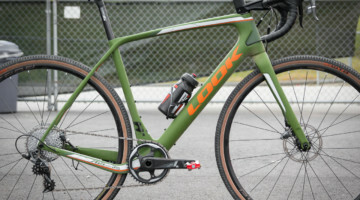 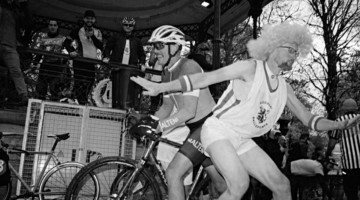 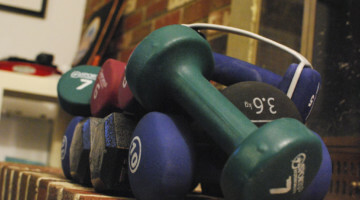 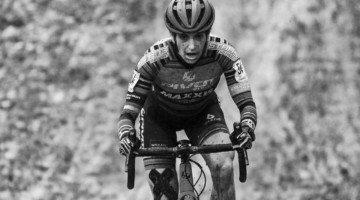 Readers in the know will realize these bike photos were taken at Nationals in Asheville. 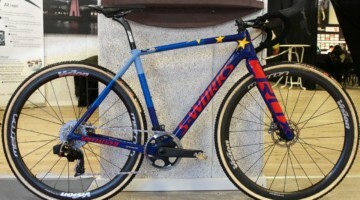 But Ortenblad’s bike, complete with California Giant-Specialized livery, was under the American rider in Zolder for his final season in the U23 ranks as well as the final season for the California-Giant squad itself. Ortenblad’s bike is built around the Specialized Crux Disc in S-Works trim, meaning it’s constructed of Specialized’s FACT 11r carbon. 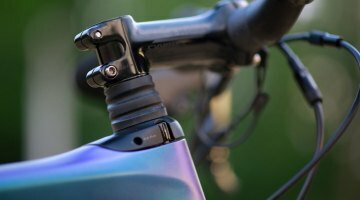 While newer models use Specialized proprietary SCS thru axle system, pro riders, including Ortenblad, opt for the quick release option. 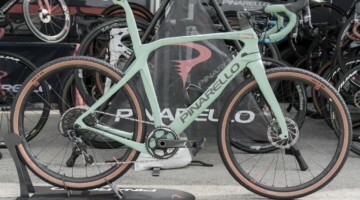 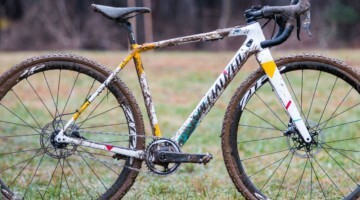 Specialized’s SCS mechanism limits the use of wheels to their own Roval branded ones or those from the NEXT wheelhouse, making running sponsor-correct wheels difficult at best. 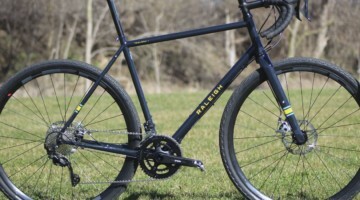 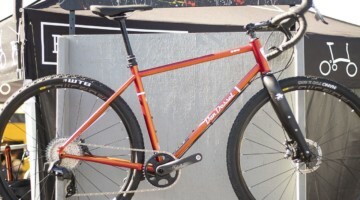 Ortenblad’s drivetrain is a SRAM Force 1 set-up, utilizing the group’s shifters, derailleurs and hydraulic brakes. 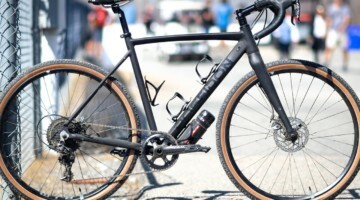 The SRAM Force crank he runs features a power meter from Quark and a 42 tooth SRAM x-sync ring. 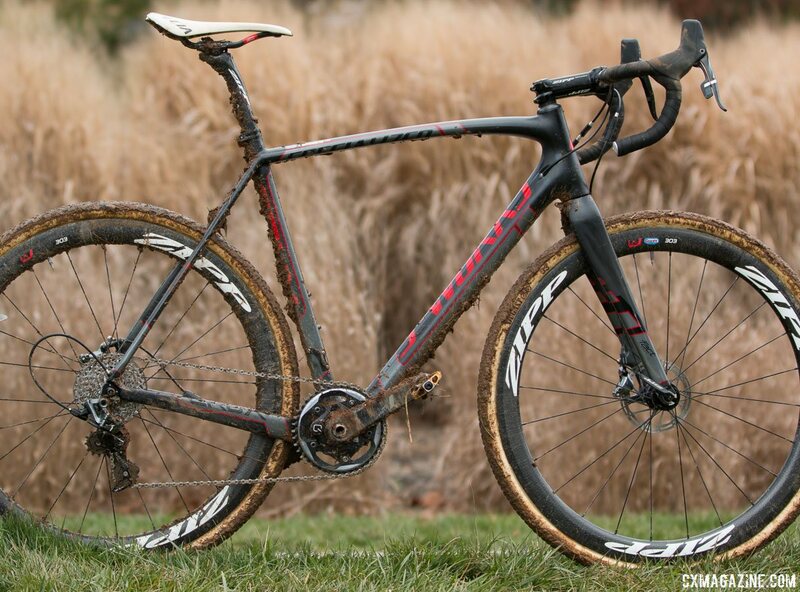 Ortenblad ran Dugast Rhino tubulars at Nationals mounted to Zipp’s 303 wheels. 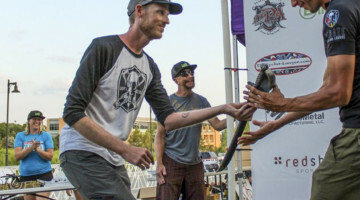 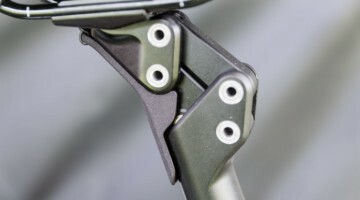 For his contact points, Ortenblad uses Crankbrothers Candy pedals and he sits atop one of Specialized’s Body Geometry saddles with carbon rails mounted to a Zipp seatpost. 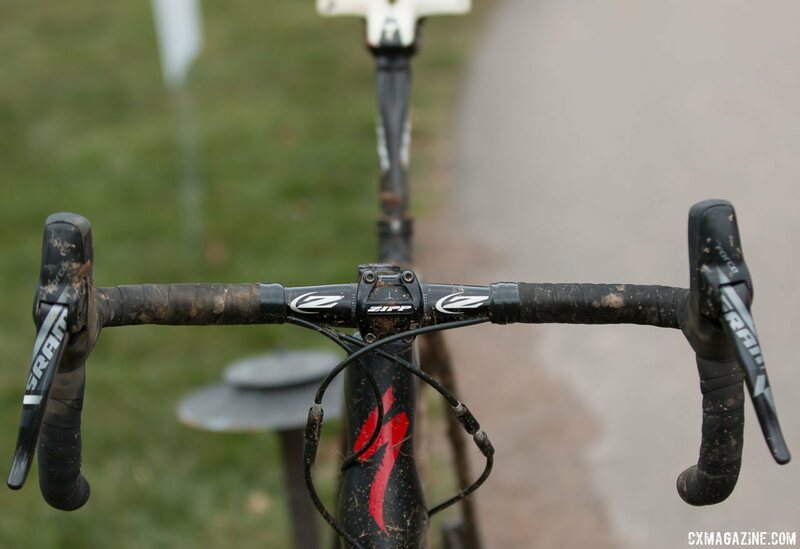 Up front, his cockpit comes from Zipp as well, with both the bar and stem being their Service Course SL models.